The caravan organizers who led several large groups of Central Americans from Honduras, Guatemala and El Salvador seem to have underestimated their welcome in the Mexican border city of Tijuana, where some 2,000 citizens plan to protest against their arrival this Sunday. 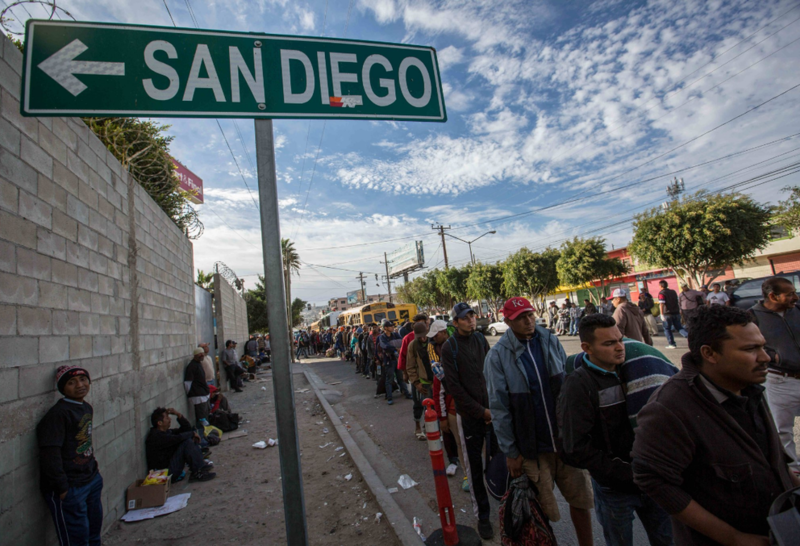 By now, it is estimated that 2,750 migrants of the various caravans are already camping out in Tijuana and the mayor estimates another 7,000 are on the way. In all, the town could face the prospect of having to house some 10,000 migrants for the next six months as their asylum applications to the US are processed. Related coverage: <a href="https://thegoldwater.com/news/42425-Caravan-Over-1-500-Migrants-Amass-Near-San-Diego-Border-Ready-To-Cross"> Caravan – Over 1,500 Migrants Amass Near San Diego Border, Ready To Cross</a>. "Everyone is in disagreement. Aside from them trashing our city, they're making caravans outside and talking badly about Tijuana." It is, in fact, becoming an increasingly common sentiment among residents of the Mexican border city Tijuana to say that the migrants are no longer welcome, as Mayor Juan Manuel Gastelum explained this week. City authorities have converted a municipal gymnasium and recreational complex into a shelter which would normally house up to 1,000 people. By now there are already 2,000 migrants in there, including more than 400 children.